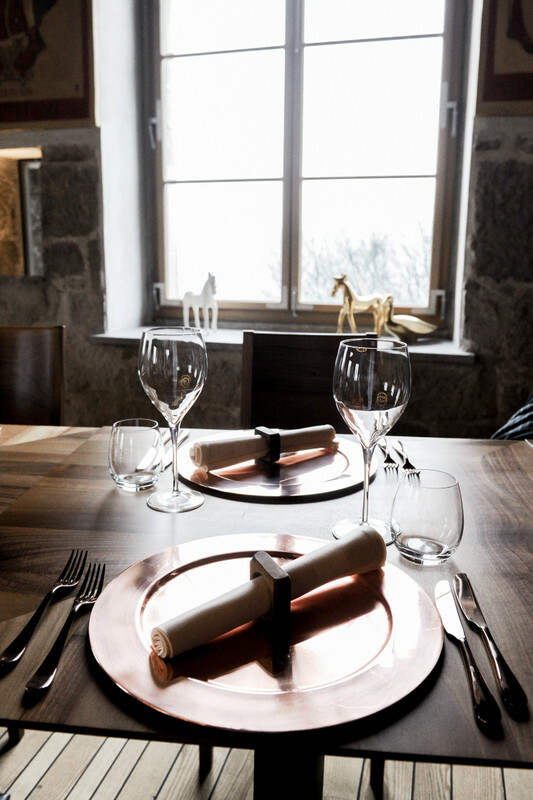 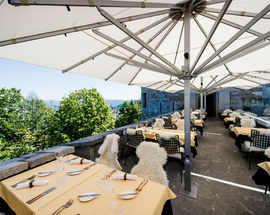 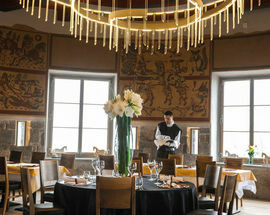 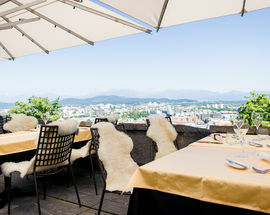 Perched high up in the archer's tower, this award-winning restaurant at Ljubljana Castle overlooks the city from a grand position. 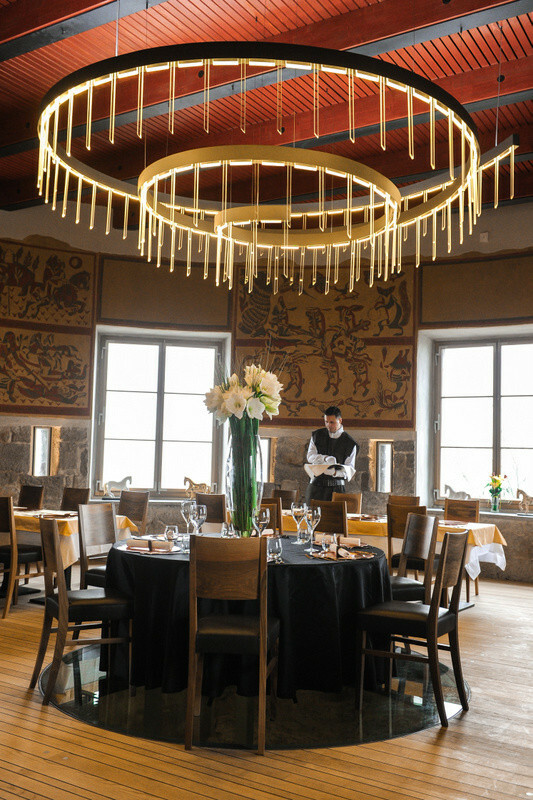 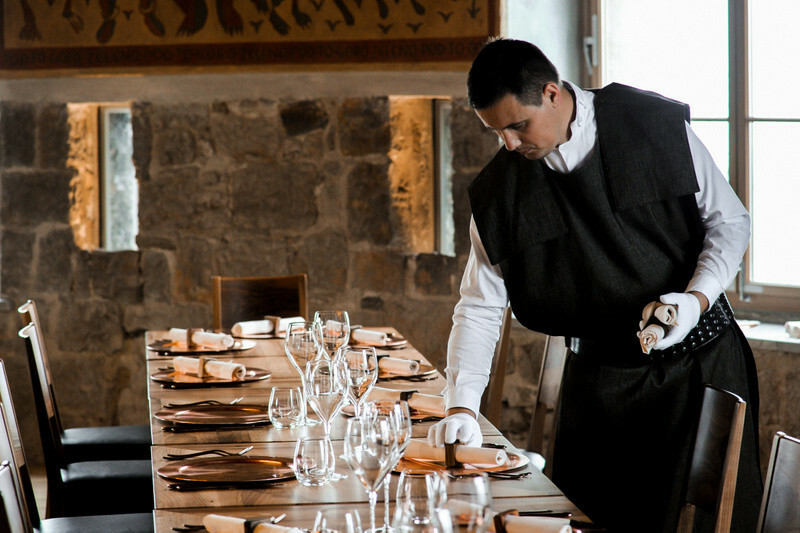 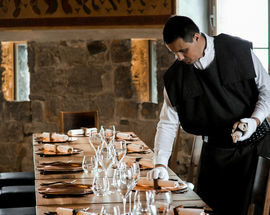 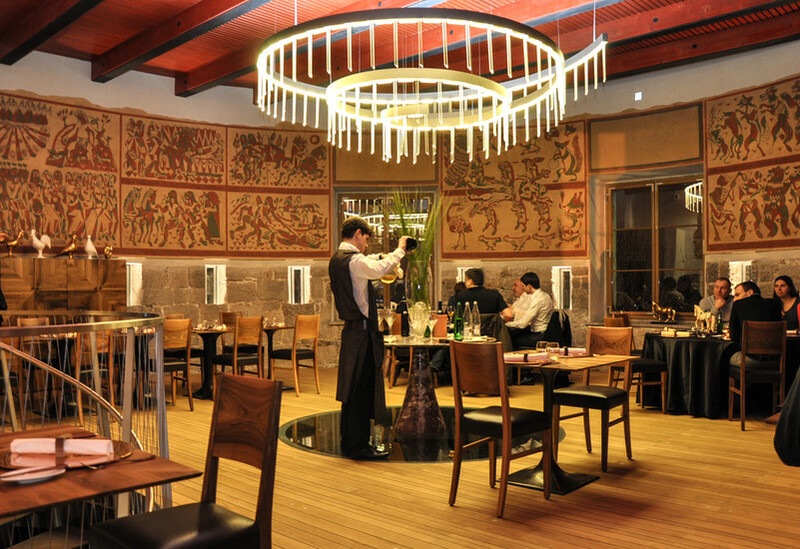 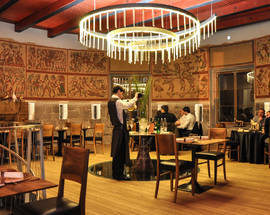 A combination of the Roman Emona, Medieval and modern in terms of both cuisine and ambiance, the menu was created with the help of top ethnology professor Dr Janez Bogataj. 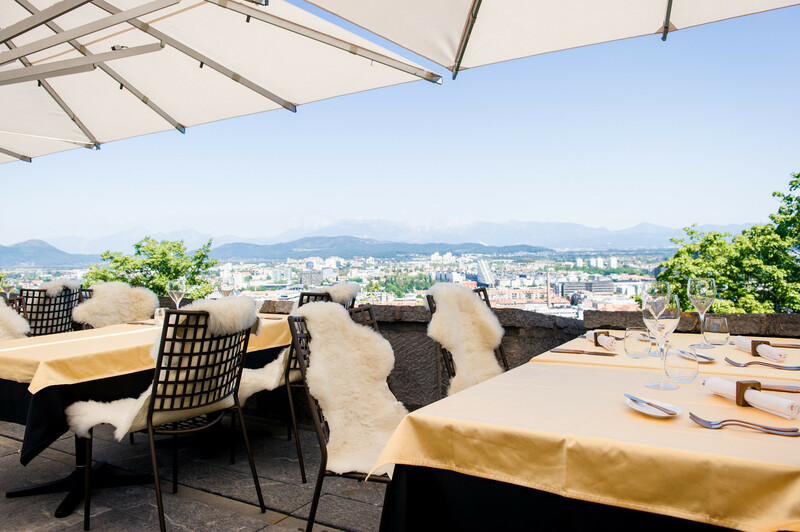 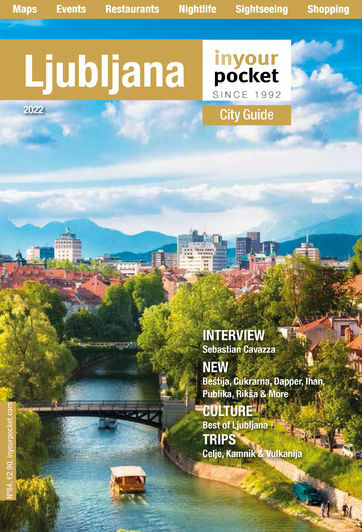 Historically reminiscent dishes of slick gourmet modernity are crafted with ingredients from Ljubljana's famed market by the star of the show: Igor Jagodic. 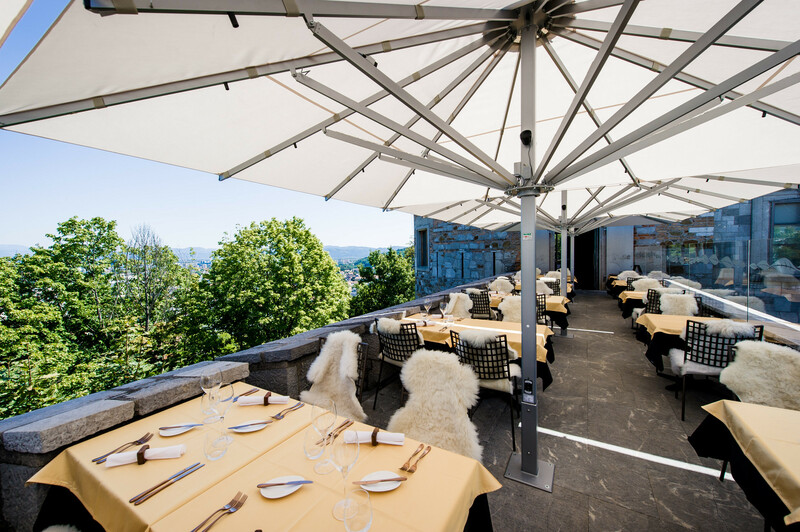 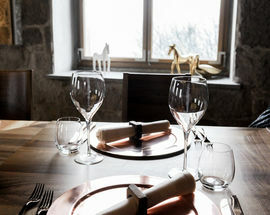 Recognised as one of the top three chefs in Slovenia, he was previously at the renowned Vila Bled, and now takes care of the sublime offerings at Strelec.